For many of us, school or work are about to begin again! Kick-start your brain into gear and test your hearing knowledge with our summer quiz! Can you get 10/10? Whether you have an ear for odd facts or you’re a science guru, these 10 questions will get you thinking about what’s on your head! All questions have true or false answers, with detailed answers provided just after each question—no peeking! So, let’s begin the quiz to test your hearing knowledge! 1) The eardrum can move less than one billionth of an inch in response to sound. True: The eardrum, which separates the outer ear from the inner ear, creates a barrier protecting the inner and middle ear from foreign bodies. When the eardrum vibrates in response to sound waves, it moves an incredibly small amount, even less than one billionth of an inch! 2) The smallest bone in the human body is found in the ear. True: The stapes, found in the middle ear, is the smallest bone in the human body. So another reason to give your ears the best care possible! 3) There are three main parts to the ear. True: There is the outer ear, middle ear and the inner ear. The tiny parts of the ear look pretty cool up close! 4) The cochlea is about the size of a lid of a Coca Cola bottle. False: The cochlea is incredibly tiny, and is about the size of a pea and shaped like a snail shell! 5) When the cochlea is unrolled, it is the same length for everyone. False: Each individual cochlea may have a different length or shape. About 18% of people have cochleae the length of 31.5 mm when unrolled from its spiral shape. But what about people whose cochlea is a different size? That’s why MED-EL has a variety of electrode arrays in various lengths and sizes, so your electrode array can match the length of your cochlea to provide a fuller, richer hearing experience. There are lots of factors that go into determining the best electrode array for an individual. That’s what your surgeon is for, so don’t hesitate to ask if you have any questions! You’re at the halfway mark! Only 5 more questions left in our quiz to test your hearing knowledge! 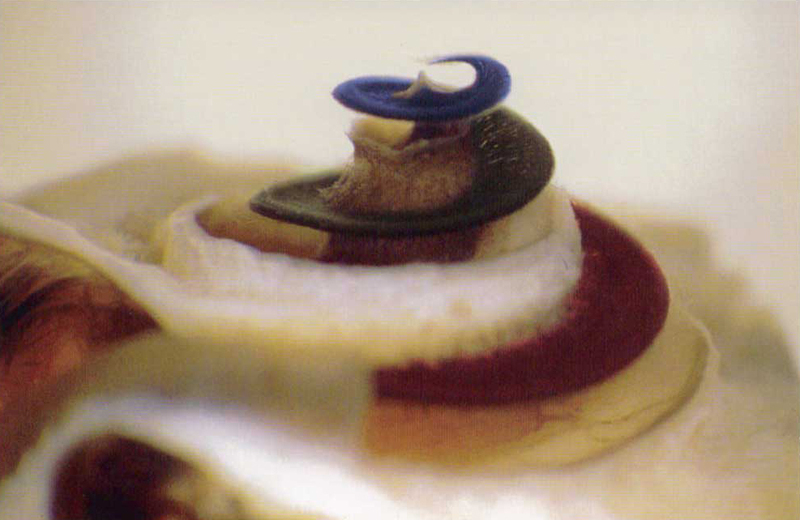 6) Air inside the cochlea vibrates the hair cells. False: The cochlea actually has fluid inside of it which moves the tiny hair cells lining the cochlea. When the hair cells move, they generate electrical nerve signals that are sent along the auditory nerve to the brain. 7) Humans have better hearing than cats. False: Another reason to love —or be majorly suspicious of—our feline friends. Cats’ hearing is way better than ours! Many animals, such as cats, have greater hearing capacity than humans, with larger hearing frequency ranges. A cat’s hearing range extends from about 48 Hz to 85 kHz, while a human can generally hear a range of about 20 Hz to 20 kHz. Actually, many animals have cool and weird ways of hearing. Fish respond to pressure changes in the water, male mosquitoes have thousands of tiny hair cells that grow on their antennae, and crickets have ears on their front legs just below the knee! 8) There are three main types of hearing loss. True: Generally speaking, hearing loss is broken down into three types. First is sensorineural, meaning that some of the thousands of little nerve cells inside the cochlea are damaged or missing. These nerves are needed to detect sound waves and send their information to the brain. Second is conductive hearing loss, where the nerve cells in the cochlea work, but sound waves can’t get through the outer or middle ear. Third is mixed hearing loss, which is a combination of sensorineural and conductive hearing loss. 9) It’s not worth it for older people to get a hearing implant, as they won’t benefit from it. False: Regardless of age, a hearing implant can potentially give you extensive benefits through improved hearing, which can positively affect your overall health, lifestyle, relationships, and more. If you’re an adult who finds it tough to hear in certain situations, use our simple checklist to help identify age-related hearing loss. 10) When your ears pop, it is due to pressure changes. True: Built-up middle ear pressure can happen when the pressure in the air changes, for example in an airplane or driving up a mountain. The Eustachian tube is found in the middle ear, and its job is to equalize the air pressure on both sides of the ear drum. Did you answer all the questions correctly? Let us know how many points you scored out of 10 below! Did you like our quiz for testing your hearing knowledge? Subscribe to the MED-EL Blog to get interesting posts on technology, rehab tips and tricks and more delivered straight to your inbox weekly!